Dr. Scott Stoney has developed a unique and superior treatment for fibromyalgia. His technique offers relief of pain that is advancement over traditional treatments. Dr. Stoney is able to offer a new life for patients who suffer from fibromyalgia. Dr. Stoney seeks a world without pain. 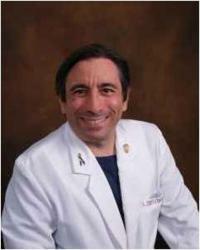 He understands pain and offers over 20 years of experience in treating intractable pain. Two percent of the population has fibromyalgia, according to U.S Center for Disease Control and Prevention. It is largely under diagnosed and many physicians make the mistake of not listening to the patients who present with fibromyalgia. Dr. Scott Stoney from California Rehabilitation and Pain Management in Newport Beach, CA has a unique treatment for fibromyalgia. His technique offers pain relief surpassing that of traditional treatments and can therefore offer a new lease on life for patients who suffer from fibromyalgia and was featured on KCAL Channel 9 News. Research shows that medicine isn’t the only answer for the chronic pain experienced by those suffering from fibromyalgia. In fact, for optimal rehabilitation outcomes in a fibromyalgia patient, the treatment should be tailored to the individual patient by addressing exercise, diet and psychological aspects as well as drugs. Fibromyalgia is not only a difficult illness for patients who are forced to live with chronic pain and other co-morbid conditions, it is also perplexing to physicians who often do not have the tools necessary to feel comfortable in making an accurate diagnosis or to prescribe a successful treatment regimen. In his discussion of fibromyalgia, medications, and rehabilitation strategies, Dr. Stoney highlights the usefulness of the Fibromyalgia Oswestry Pain Questionnaire as a tool to measure pain management efficacy in this patient population. For patients with fibromyalgia, disability can be severe and pervasive and so the rehabilitation medicine approach should be focused on improving patient’s function. Although there is much to be said for symptomatic improvements, rehabilitation treatment emphasizes efficacy in outcome measurements. Simple measurement techniques such as the Fibromyalgia Oswestry Pain Questionnaire and the Fibromyalgia Impact Questionnaire are useful in measuring response to treatment. To obtain optimal response in a patient with fibromyalgia, the treatment should be tailored to the individual fibromyalgia patient’s symptoms, examination findings and testing data. It is important to measure treatment response by the improvement in quality of life variables. It is when a practitioner views the patient as a whole and promotes goals to optimize quality of life measures that intervention results are best appreciated. The modern version of the Hippocratic Oath (written by Louis Lasagna in 1964) states: “I will remember that there is art to medicine as well as science, and that warmth, sympathy, and understanding may outweigh the surgeon's knife or the chemist's drug." For fibromyalgia, this phrase could not be more appropriate.